President Donald Trump is known as perhaps the most anti-science POTUS of all-time and Microsoft founder Bill Gates has proven exactly how inept the President is when it comes to understanding even the most basic of scientific knowledge. In footage obtained by MSNBC’s Chris Hayes, Gates explains how he was forced to explain to Trump that HPV and HIV are not the same. If that’s not enough, Gates tells the story about how his 22-year-old daughter had previously met the president at an event in Florida. Gates says Trump made “scary” observations about his daughter. “There was a thing where he and I were at the same place before the election and I avoided him,” Gates told his co-workers who attended his talk. “Then he got elected. So then I went to see him in December. We already known that Trump must always be the center of attention and Gates summed up the POTUS’ approach to grabbing the spotlight with a story of grandeur. “He knew my daughter, Jennifer, because Trump has this horse show thing down in Florida. He went up and talked to Jen and was being super nice. And then around 20 minutes later he flew in on a helicopter to the same place. So clearly he had been driven away and he wanted to make a grand entrance on a helicopter. “Anyway, so when I first talked to him it was actually kind of scary how much he knew about my daughter’s appearance. [Gates’ wife] Melinda did not like that too well,” Gates added. The HIV comment occurred when Gates was meeting with the President in Trump Tower. The tech mogul and philanthropist was attempting to urge Trump to become a science and innovation leader. 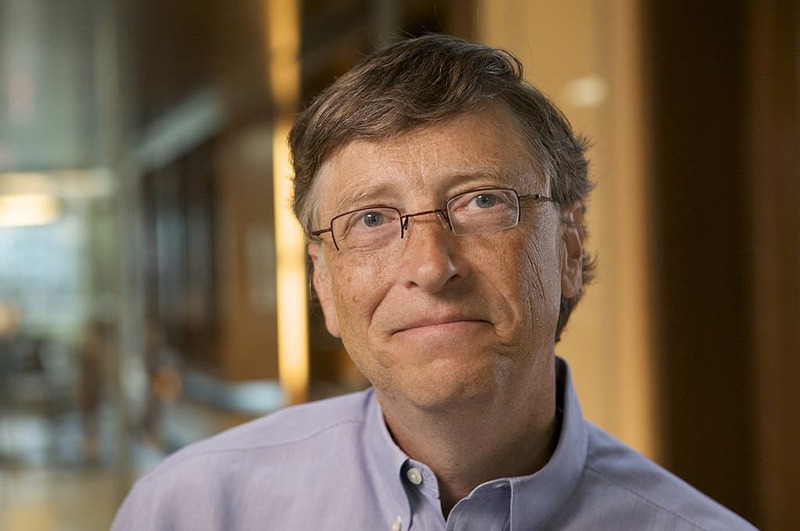 “Both times he wanted to know the difference between HIV and HPV and so I was able to explain that those are things that are rarely confused with each other,” Gates said to laughter from the audience. Gates hasn’t responded to comment about the speech but his words really speak for themselves.